The Korean ticket website INTERPARK TICKET, through which tickets for the first Sound Horizon concert outside Japan (August 27th at AX-KOREA) are sold, posted a promotional video that includes fragments of the songs Hikari to Yami no Märchen and Yoiyami no Uta, this time with live sound. 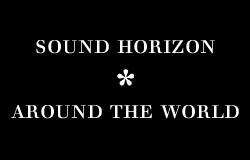 Also, we now know that the official english title for the 2011 tour is “The Great Hope of the Territorial Revival”. Revo to write Takarazuka’s Lancelot theme song?? 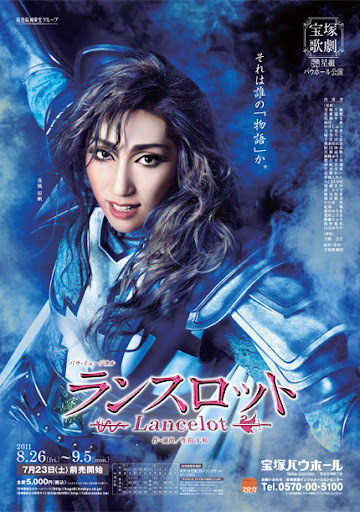 It’s been rumoured that Revo will be composing the theme song for Takarazuka Revue‘s new musical Lancelot. This musical will premiere next August at the Takarazuka Bow Hall, and the only info available now is the cast list and the promotional poster. Revo has had some connection with the Takarazuka Revue before, since the singer Kanami Ayano from Märchen is a former Takarazuka member. Also, the catch phrase featured in the poster, Whose is that «Story»?, is stylized in a way that reminds a lot of Sound Horizon’s works. Although there is no official information, it would be great to have Revo collaborating with Takarazuka. A few days ago, many of us were puzzled about the fact that the Märchen DVD and BluRay had the first press available mark on, even if we did know that this release had no first press/limited edition. Now, it has been confirmed that the first press of both the DVD and BluRay editions will include a notebook, called “Das Notizbuch des Grolls” (the notebook of grudge) as a bonus feature. 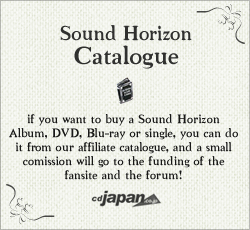 If you want to get it, you’re still time, since there are still around 20 of each edition in store at CDJapan. Previous post"Revive" - Live Tour 2011 Opening Theme + Japan SH Fansite reports on the Anthem Chorus Next postMärchen DVD&BD official trailer + get ready for the SH Singapore Gathering!